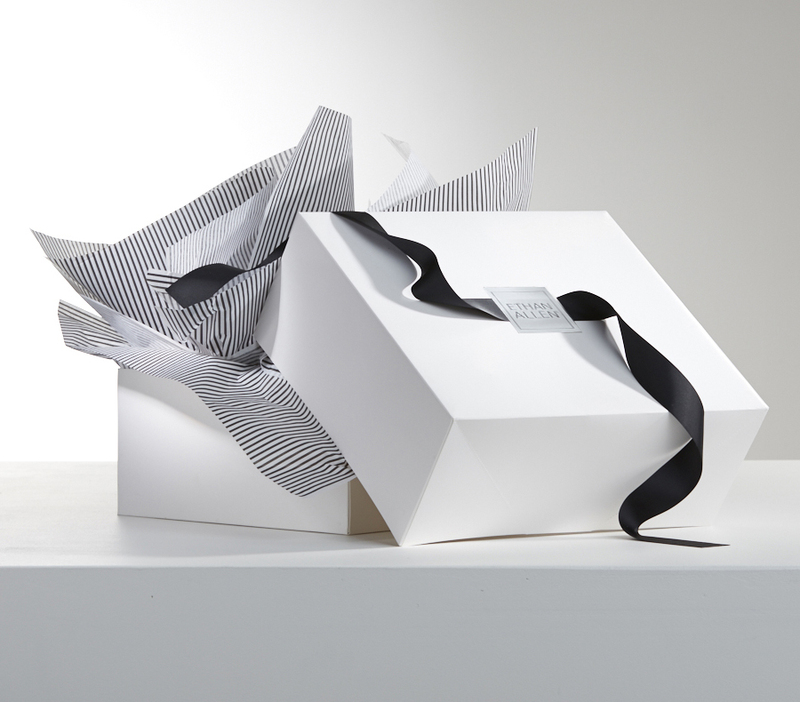 Ethan Allen gifts arrive in a signature white box with chic black ribbon and black-and-white striped tissue. Fun, mod black-and-white polka dot tissue paper and ribbon dress up Ethan Allen | Disney’s white gift boxes; and each has a specially designed embossed silver label. These elegant wrappings are only $5.95 per item and include a personal message. Gift wrapping is not available for all products. Not sure if the gift you have in mind is something they’re sure to love? Order a gift card in any denomination from $50 to $1,000 for anything at all from Ethan Allen or Ethan Allen | Disney. 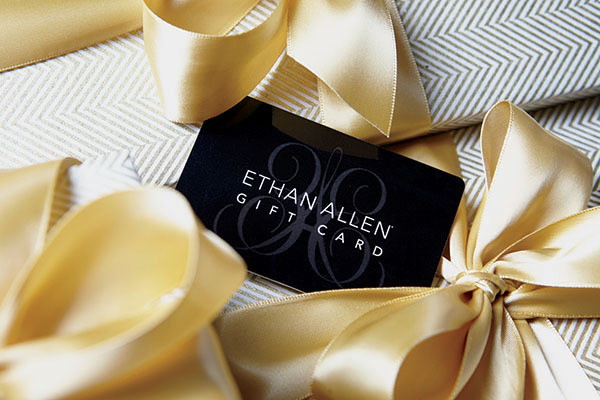 Our gift card is redeemable for goods and services at any participating U.S. Ethan Allen retailer, on ethanallen.com, and on ethanallen.com/disney. Give them what they want … what they really, really want. Gifting from an Ethan Allen gift registry—for weddings, anniversaries, babies, and more—takes the guesswork out of finding the perfect gift for family and friends! Why not sign up yourself? 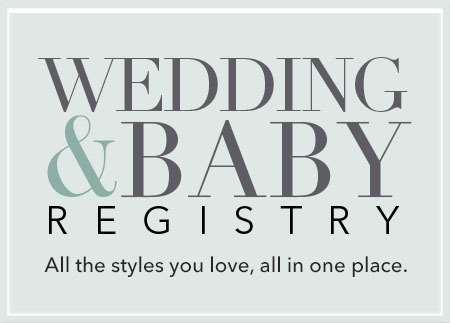 Our registry comes complete with VIP design service, a great completion discount—and endless inspiration. Creating an Ethan Allen registry is the easiest commitment you’ll ever make.